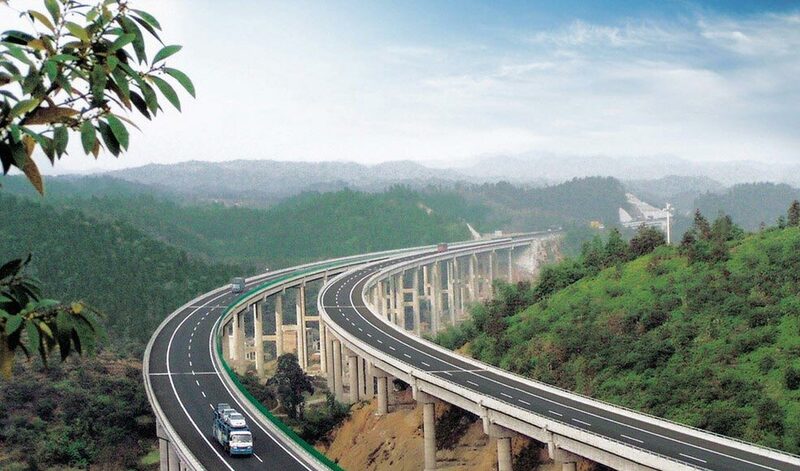 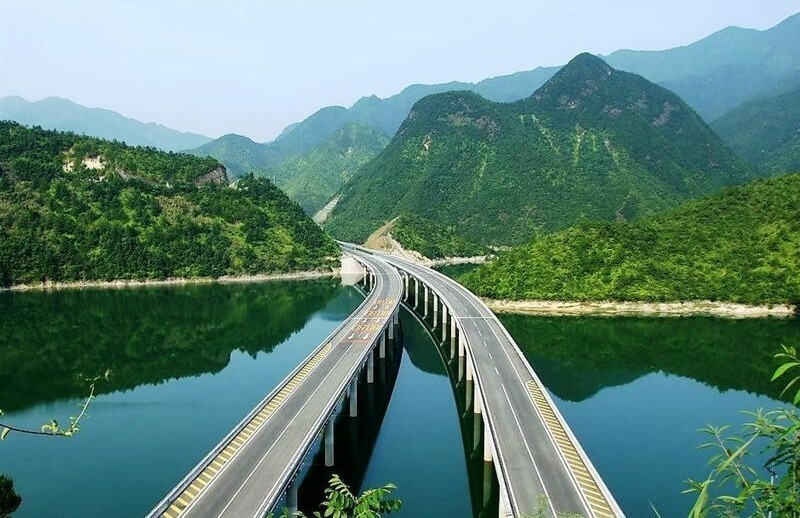 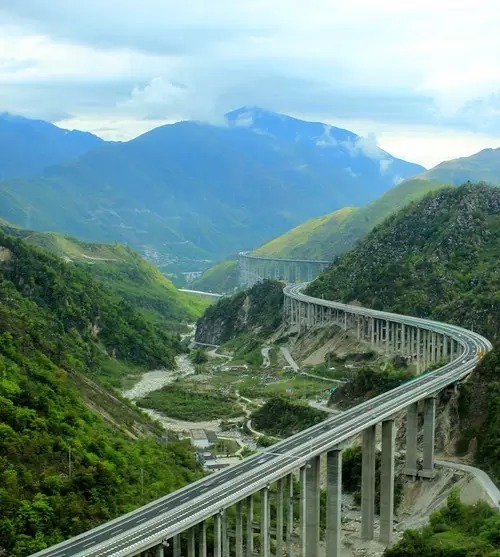 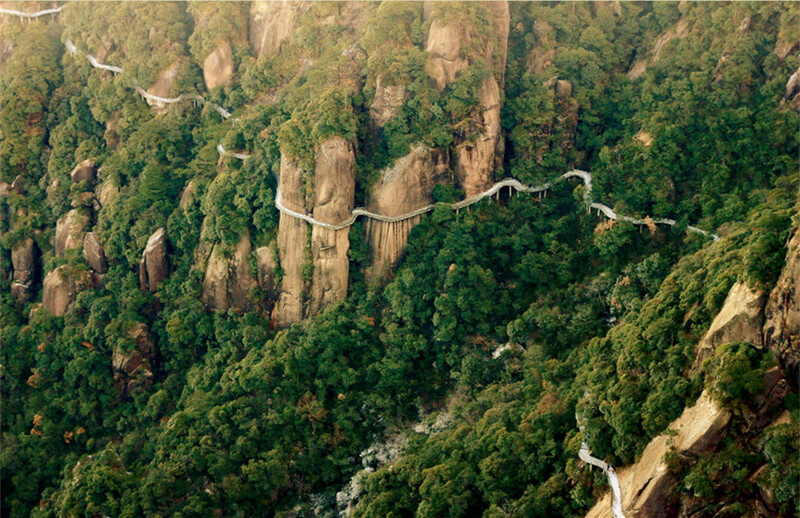 Yaxi highway, a 240-kilometer-long road connecting Ya'an (雅安） and Xichang (西昌) in southwest China's Sichuan province, is regarded as a "ladder-like sky road". 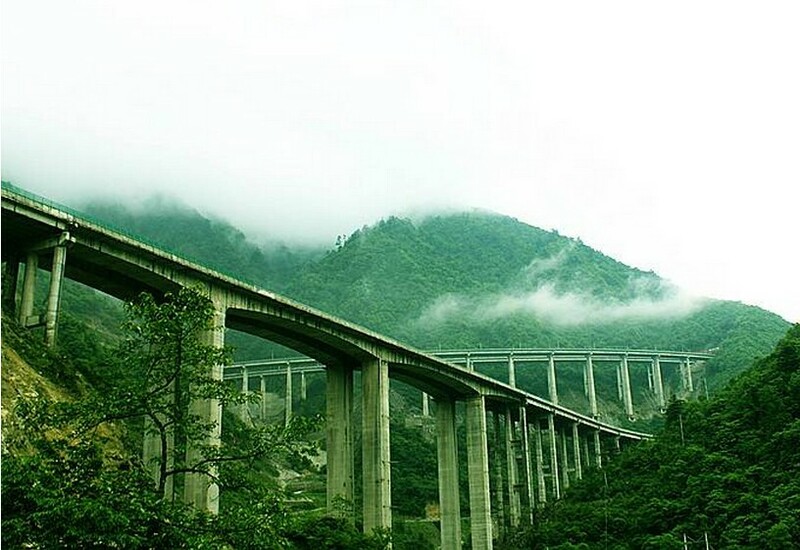 The road is a combination of viaducts and tunnels. 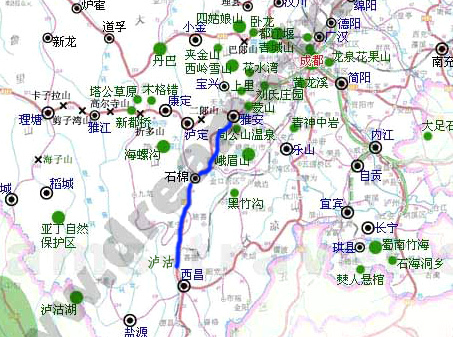 The total length of the 25 tunnels along the road is about 41 kilometers. 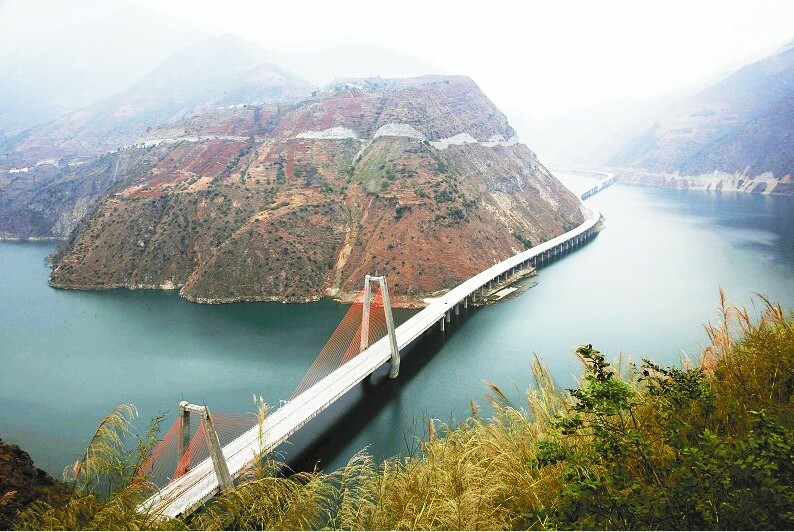 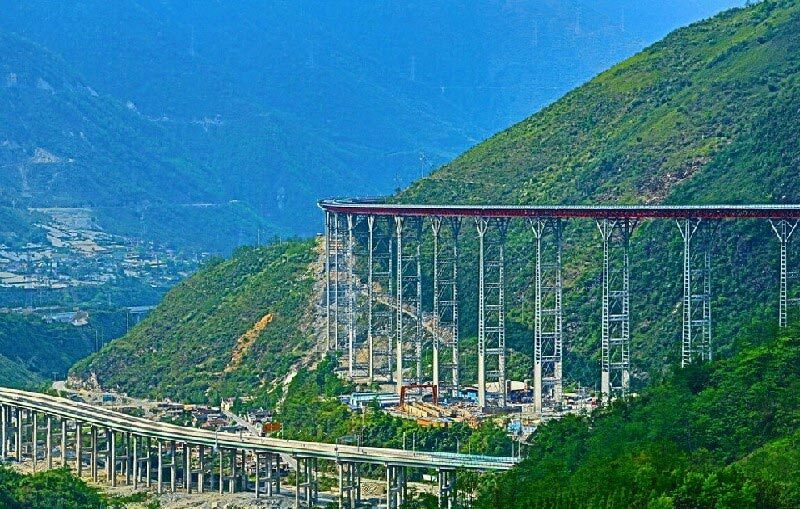 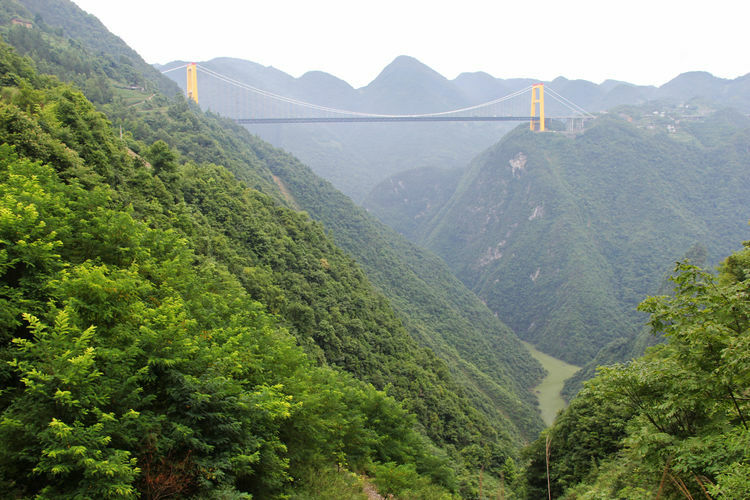 The beam bridge is one of 4 large and high crossings on the Yaxi Expressway in a mountainous region of southwestern Sichuan Province. 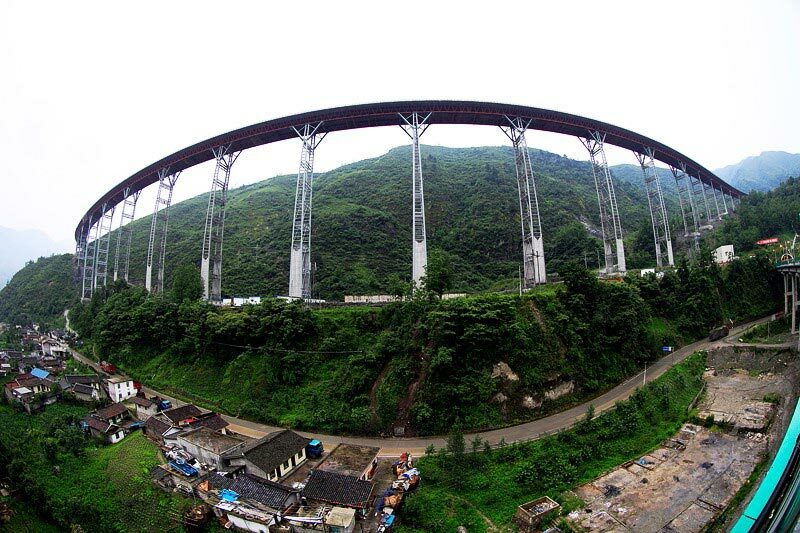 There is little information on the exact height or span length. 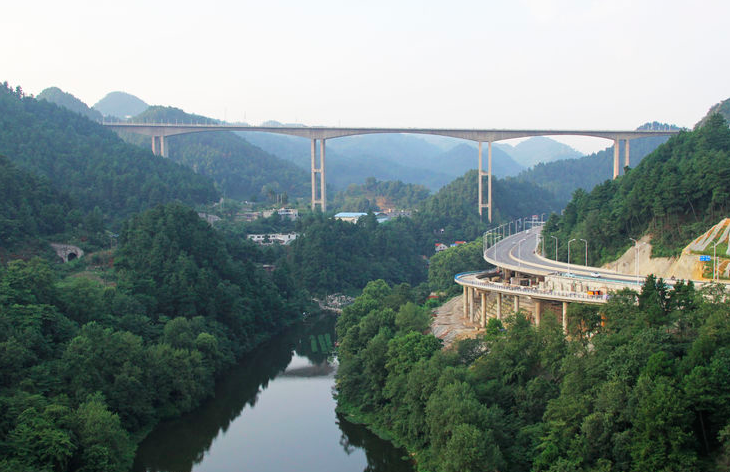 The crown jewel of the highway is the Labajin beam bridge (腊八斤特大桥) with one of the tallest bridge piers in the world at 182.5 meters. 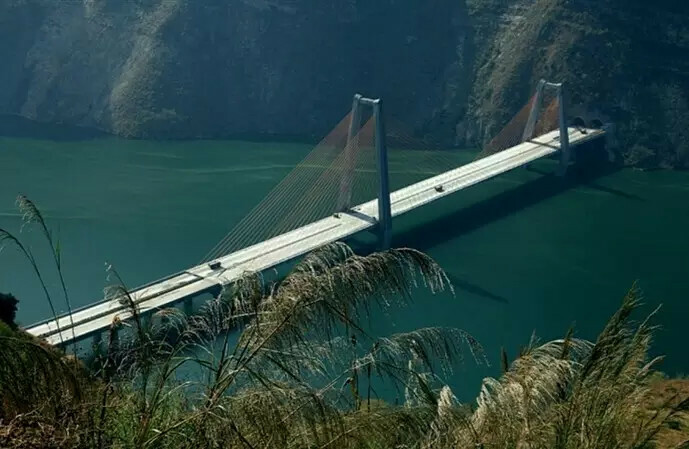 Unlike other big piers in China, the tallest piers on the Labajin Bridge were built with four steel corner columns that were filled with concrete and are connected by concrete slabs to form a hollow box structure. 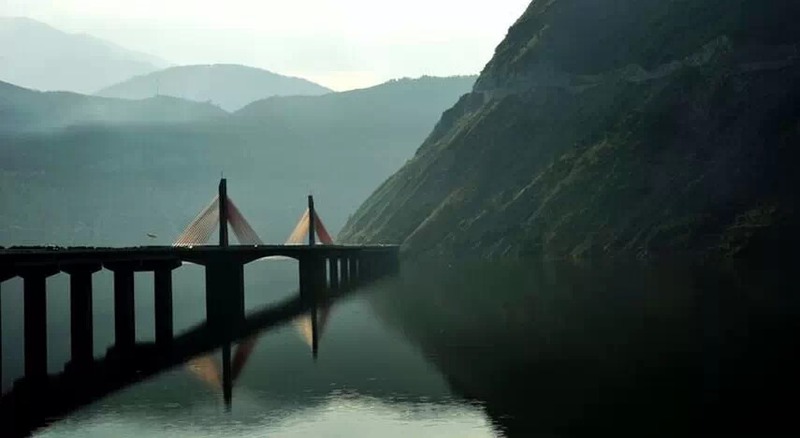 This unique type of pier has never been done before. 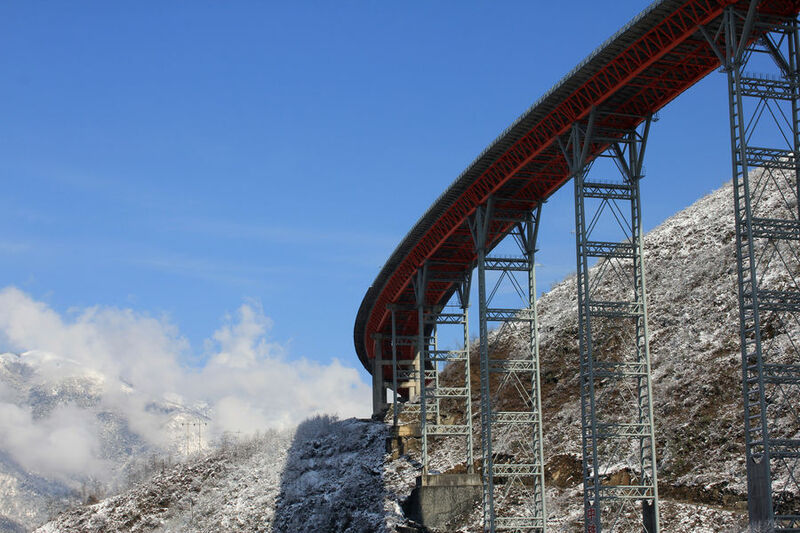 For this "unnamed" viaduct, the piers were built more conventionally with reinforced concrete columns constructed with a rising form work.